A ground-breaking modern manual on an ancient art, Real Alchemy draws on both modern scientific technology and ancient methods. A laboratory scientist and chemist, Robert Allen Bartlett provides an overview of the history of alchemy, as well as an exploration of the theories behind the practice. Clean, clear, simple, and easy to read, Real Alchemy provides excellent directions regarding the production of plant products and transitions the reader-student into the basics of mineral work -- what some consider the true domain of alchemy. New students to practical laboratory alchemy will enjoy reading Real Alchemy and hopefully find the encouragement needed to undertake their own alchemical journey. Bartlett also explains what the ancients really meant when they used the term "Philosopher's Stone" and describes several very real and practical methods for its achievement. Is the fabled Philosopher's Stone an elixir of long life or is it a method of transforming lead into gold? Judge for yourself. * Covers theory and practice, including minerals, waterworks, and metallic works. 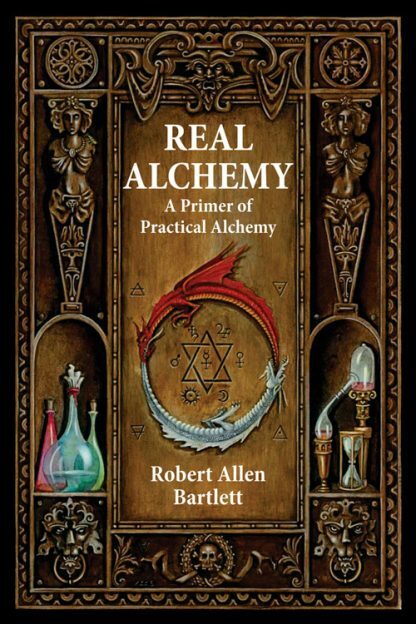 Robert Allen Bartlett has been a practicing alchemist for over 30 years and was a student of the twentieth century's most highly recognized alchemist, Frater Albertus, at Paracelsus College. After receiving his degree in chemistry, Bartlett was appointed Chief Chemist at Frater Albertus' Paralab. He is a member of the International Alchemy Guild at the Adept Level. He is an Instructor in Spagyrics at Flamel College Online through www.Alchemylab.com.